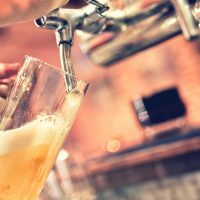 Craft beers can get you in trouble quicker than old-school beers | Yavitch & Palmer Co., L.P.A. It’s pretty much inevitable. When we meet with a new OVI/DUI client we ask how much they had to drink. In the not-too-distant past, it was a pretty simple conversation. Was it wine, beer, or whiskey — or some combination of all three? In those days, beer meant beer. We didn’t care much about which major brand they were drinking. Maybe we would ask if it was draft and, if so, how big. Sure, it matters if it’s a 12-ounce, 22-ounce, or a pitcher. But, for the most part, the exact alcohol percentage didn’t come into play. Folks could generally gauge how much they had to drink based on their experience with the “big three” light beers. Now, things have changed. Quality beers are in. There seems to be a new craft brewery opening every week, with lots of local flavors to choose from. We can get stouts, pilsners, IPAs, blondes, wheats, ciders, etc. Use your imagination and you can probably find it. At any rate, this stuff packed a punch. The great flavor was meant to be savored, not slammed. Three or four of those and the old Blood Alcohol Content (BAC) is flying high. This is a game changer. What was once four, is now two. What was once two, is now one. That means if you used to drink four light beers over a couple hours, you might have to re-think your drink. Or at least re-think your ride home. Smart drinkers know it. True beer connoisseurs pay attention to the little numbers next to the beer on the menu. That “ABV” stands for Alcohol by Volume. The higher it is, the less like your old light beer it is. It’s not uncommon to find an ABV of 7% to 10% on a good IPA. For perspective, the typical light beer is closer to 4%, sometimes even lower for the “diet” low-carb beers we see today. That’s a huge difference. So now when we meet with a new OVI client, we have to discuss what kind of beer they were drinking. It’s easy to say someone had two beers, but if those were 90-Minute IPAs in a 20-ounce glass, that’s a big difference from an ultra-light beer in a bottle. If you’ve got your ride planned, and you won’t be behind the wheel, drink up, have fun, and stay out of trouble. But if you plan on driving, pay attention to the numbers. Drink responsibly. Otherwise, you might find yourself doing some foggy math figuring out the difference between your IPA’s ABV and how it matters for your BAC. And that’s just too confusing. But if it happens, at least find the office of an experienced criminal and OVI/DUI attorney.